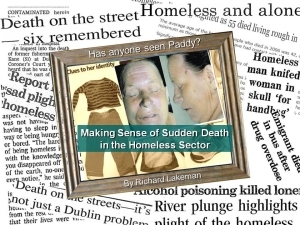 This site is a repository for a variety of resources relating to a study undertaken between 2009 and 2010 exploring how homeless sector workers deal with and respond to death and trauma of people with whom they work. The site hosts a video of homeless sector workers talking about their experience, handouts and articles relating to the study. Lakeman, R. (2011). How homeless sector workers deal with the death of service users: A grounded theory study. Death Studies, 35(10), 1-24. Homeless sector workers often encounter the deaths of service users. A modified grounded theory methodology project was used to explore how workers make sense of, respond to, and cope with sudden death. In-depth interviews were undertaken with 16 paid homeless sector workers who had experienced the death of someone with whom they worked. 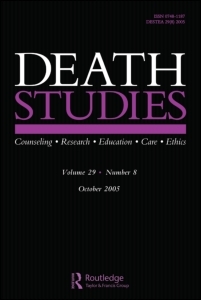 Transcripts of interviews and field notes were analyzed using the constant comparative method and a theory that described the positive framing of death emerged. Dealing with death and trauma is not something that most workers expect when they begin work but exposure to the death of a service user heightens expectations that other service users may be harmed. How workers cope or positively frame death depends on several interlinked processes. These include how the death is encountered; how the worker and others mark the death; and the extent that the vulnerability of self, peers, and service users is recognised and responded to. Successfully framing death enables the worker to continue working in the sector whilst maintaining enthusiasm for the work and compassion for service users. Lakeman, R. (17-21 Oct 2011). 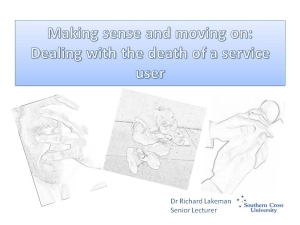 Making sense and moving on: Dealing with the death of a service user. Paper presented at the World Congress of the World Federation for mental health, Cape town International Convention Centre, South Africa. For anyone in a helping role, there are few events more professionally wounding than the unexpected death of a service user. People who work with homeless service users are often exposed to the trauma and death of those whom they try to help and this can take a toll both professionally and personally. This presentation outlines findings from a grounded theory study which explored how people in the homeless sector make sense and move on from the death of a service user and ultimately maintain a positive view of their work. A brief video of workers talking about their experience was developed to assist workers in the field better prepare to deal with death. The stories of these workers will have resonance for anyone who encounters the death of service users in their professional lives. This presentation encompasses an outline of the theory, a screening of the video and a brief discussion of its evaluation. Lakeman, R. (4-7 Oct 2011). 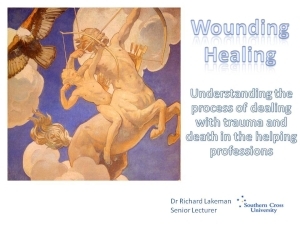 Wounding Healing: Understanding the process of dealing with trauma and death in the helping professions. Paper presented at the "Swimming between the flags?" The Australian College of Mental health Nurses 37th International Mental Health Nursing Conference, Marriott resort, Surfers Paradise, Gold Coast. Jung suggested that ones own suffering and vulnerability contribute to the capacity to heal others. However, sometimes service users are not healed but fail to improve, experience trauma and even die. Few events are more wounding for professionals than failing to protect a service user from preventable harm or failure to intervene to prevent death. The toll of vicarious and direct trauma can be immense and challenge the capacity of the helper to continue in a genuinely helping role. There are few markers or flags to help navigate the best course and the helper may find themselves 'all at sea' or a long way from safe shores. Drawing on the findings from a grounded theory study exploring how homeless sector workers deal with the deaths of service users, this presentation considers the issue of trauma and the processes by which would-be helpers might deal with death and trauma, acknowledge and treat their wounds and continue in helping roles. Lakeman, R. (2010, 7-9 April). Working on the margins: Confronting death in the homeless sector. Paper presented at the British Sociological Association Annual Conference: Inequalities and Social Injustice, Glasgow Caledoinian University. Working with homeless people entails working on the margins of society. Workers are frequently exposed directly and vicariously to the many traumas, indignities and injustices that characterises the lives of homeless people. Workers are confronted by marginalised lives and also frequently the sudden deaths of service users. The marginalised positions of both homeless person and homeless sector worker is a complicating factor that colours the experience and challenges the capacity of the worker to make sense of the death, work through the trauma and frame the death and ongoing work in a positive way. This presentation derived from a grounded theory study of homeless sector workers and sudden death will explore how workers resolve the problem of framing death and moving on drawing particularly on the narratives of homeless sector workers themselves. Lakeman, R. (2007). Book Review: 'Humanizing Psychiatry and Mental Health Care: The Challenge of the Person-centred Approach'. 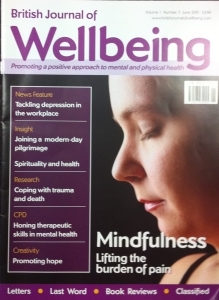 Journal of Psychiatric and Mental Health Nursing, 14, 827-829. This year marks the twentieth anniversary of the death of Carl Rogers and the commencement of my nursing training. It was during my training that I was first formally introduced to the philosophy and techniques of 'person centred' counselling. Indeed, for years I thought unconditional positive regard and counselling were synonymous. Our course was saturated with Roger’s philosophy and a number of my most inspiring teachers regarded Rogers with quasi-religious awe….